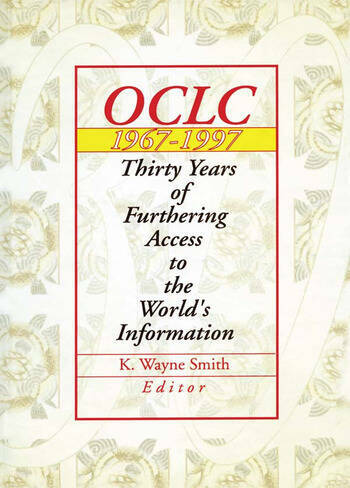 In OCLC 1967--1997: Thirty Years of Furthering Access to the World's Information, you'll see how libraries, librarians, and librarianship have changed dramatically since the late sixties, when OCLC was founded as a nonprofit, membership, computer library service and research organization. You'll also see how far information professionals have come in their common crusade to provide access to the ever-expanding body of information worldwide. OCLC 1967--1997 is for library professionals in libraries of all types. It is a definitive guidebook to today's OCLC and to all those who are helping their libraries and staffs deal with the challenges and opportunities of the Information Age.